The advancement in science and technology hasn’t just restricted to information technology, the construction industry is also picking up its pace along with them. 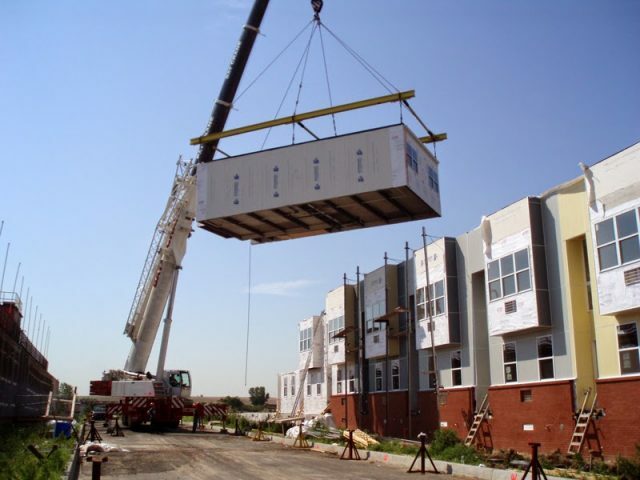 And the technology which is changing the face of construction industries is called the modular construction. The technology is being backed by funding from Angus Reed and Lyons USA, which are big names in New York real estate market. This funding is provided to device new methodologies that will create better efficiency, reduce costs and make the construction more sustainable. Modular buildings are those buildings which are manufactured in factories and are delivered to the construction site. The individual components are assembled on-site which makes the whole process a lot more convenient. Reduction in construction time: Modular constructions reduces the time taken for construction of a building by almost 60 percent. For large constructions, this can be even more. This makes an investment in construction very safe, since many of these construction work is carried with the help of loans and the faster the work, the lesser the interest paid. Safer construction: Many times it happens that construction workers face fatal accidents while at work. With modular construction, a lot of lives can be saved, since the components of the building are safely constructed in a secure environment. Better Quality of Construction: Since the modules are constructed in a factory, it is a lot easier to keep an eye on the work. The modules are made in full conformity with the industry codes and standards. Proper inspection is carried out which makes this form of construction better in quality than the traditional ones. Reduced labor requirement on the site: Since the modules can be made away from the construction site, there is not much movement of labor in the site area. Since there are less number of labor and only fabrication is done on-site, it is easier to see if it is being carried out properly, on the construction site too. Flexibility: In the economic environment where uncertainties always loom in the market, it is always better to invest your money on things will not block your investment. Modular construction gives you the flexibility to assemble and dismantle the construction as per your need. For a construction company, manufacturing these modules are no less than safe investments. Save construction costs: Since modules take less time to construct in the factories than on the site, they can be manufactured at a faster pace. A large portion of construction costs goes to labor wages and a shorter construction time means a lot will be saved on labor wages. Saving environment: Construction causes dirt and cement to blow in the city air which reduces the quality of fresh air. When it is done in a closed factory, there is no impact of construction on the quality of air. Construction companies who are using modular construction use many green technologies too. These include energy saving techniques like solar panels and other green building techniques. Reusable material: These buildings are made with reusable materials that are very durable. Since the fabrication method is designed in such a way that it is easy to dismantle and re-assemble each of the components on any site, reusable material is used in construction. It is observed that modular technology saves almost 20 percent in the construction costs itself. This is the reason why this technology has gained so much attention in the recent times. Modular construction is surely the future of construction industry and a step forward towards Eco-friendly and sustainable construction methods.